Well, this New Moon you get to put those could’ve should’ve would’ves to work because this New Moon is a Wishing Moon. Let me say up front that “Wishing Moon” is not a real type of Moon, like a Blue Moon or a Black Moon. It’s a term I personally and lovingly use to sprinkle some fairy dust on the second New Moon of a sign. It’s a special Moon for anyone who has ever sat out in the dark, or stared out a window into the night, and made the wish of all wishes. 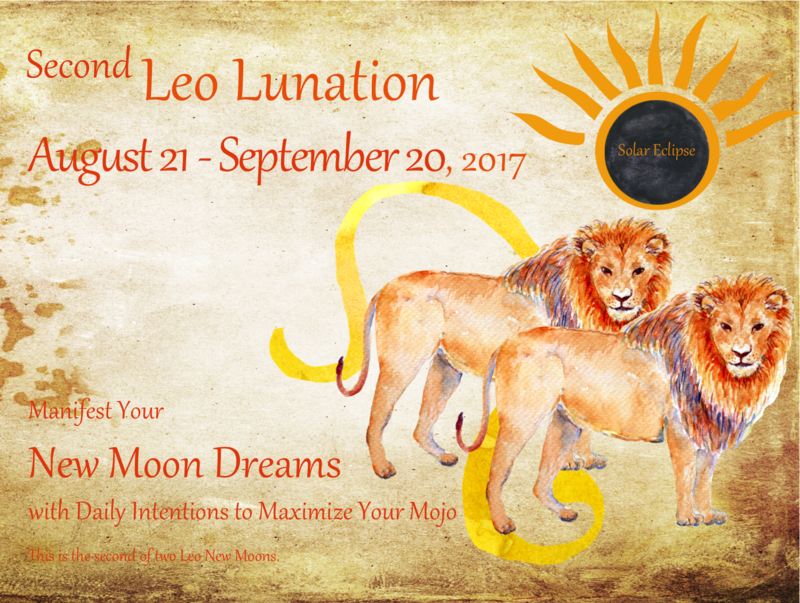 Whatever our intentions, wishes, or dreams were when the Moon was in Leo last July get an opportunity to be renewed, revamped, replayed. Someone once asked me when the Moon was in retrograde. That’s impossible. The Moon is never retrograde. The Sun isn’t, either. But, you know, if it were possible, this type of lunation ~ the second in a sign ~ just might come the closest. So we get an opportunity for a do-over but like all do-overs, it’s never identical. Things have to change. This Leo Lunation’s phases start in different signs than last month’s, so we adapt our phase work to those signs. It’s not just a Wishing Moon, though, it’s also a Solar Eclipse. The Leo New Moon of August is quite a show stopper. Not only is it the second New Moon in Leo, it’s also a solar eclipse. This first Leo New Moon was at 00 Leo 44. 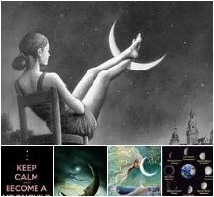 This New Moon, the second Leo Lunation, is at 28 Leo 53, 2:30pm EDT. The Solar Eclipse precedes this New Moon by only six minutes at 2:24pm. The next day, August 22, the Sun moves into Virgo at 6:21pm EDT. Even though this New Moon is within a degree of Virgo, it is still 100% a Leo Moon. If you feel that it has more of a Virgo feel to it, you are tapping into the energy of the Sun’s entry into Virgo the day after the lunation, not the New Moon Leo energy. I explain this further in this Lunation’s workbook. 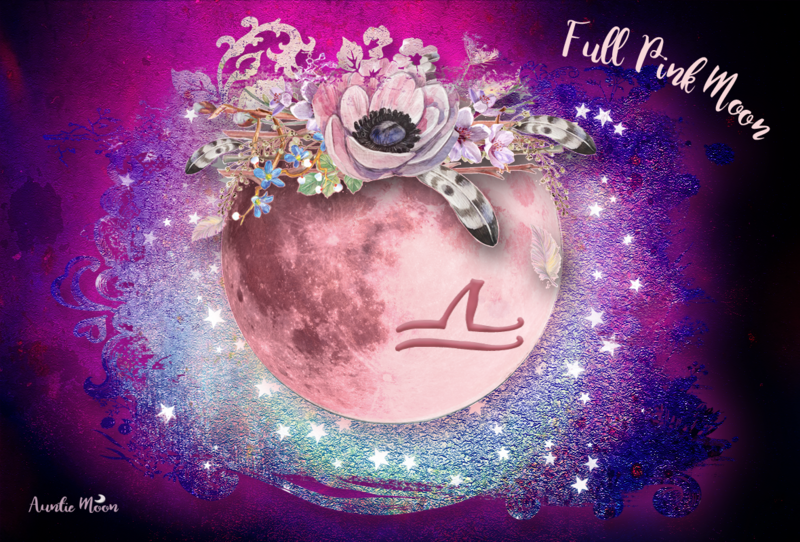 The New Phase, the time when we are weighing our options and planting our New Moon seeds, lasts through August 25th, 4:57am EDT. Use candles in the colors of Leo or fire ~ orange, yellow, tan, blue. You can always use a white or black candle for the New Moon. It doesn’t have to a big candle, either. I’ve used Chanukah and larger-sized birthday candles for quick rituals. Dress the candles with your favorite essential oil for the New Moon’s sign. Added Note: I like to use two candles, one black and one white, on the equinoxes. That would be a good choice for the Solar Eclipse, too. Using two candles to designate the second New Moon in a sign is also something special to add to your ceremony. Rubies are the birthstone for July Leos and Peridot for August Leos. The ruby is steeped in legend an d magical lore. It’s believed to bring passion, tenderness of heart, and healing from past hurts, among many other things. The green Peridot is stone of healing associated with the heart chakra. It is believed to be a stone to heal the ego and to ward off darker moods resulting from fear. Stones in Leo’s colors are great choices: citrine, topaz, and tiger’s eye, of course. Sunstone is another excellent choice. Among the many Leo flowers are those that bloom in July and August. The most obvious are big, bold Sunflowers. Dahlias, daisies, marigolds, and flowers in sunny colors make a beautiful addition to your table or altar. For the first Leo lunation of 2017, suggested food and drink were brownies, chamomile tea, honey, and golden milk. They are great choices anytime the Moon is Leo. For this Leo lunation, the second one of 2017, try a cup of caffeine-free Honeybush tea ~ a naturally sweet, red tea from the eastern cape region of South Africa. The name Honeybush comes from the plant’s honey-scented flowers. If you’d like a more dramatic drink for Leo, a mimosa definitely fits the sign: partially fill a champagne glass with orange juice and top with champagne. A summer cooler with pomegranate juice and seltzer is a great Leo mocktail. Need Help with the Leo Lunation? See some sample pages and the contents of the 46-page workbook here.